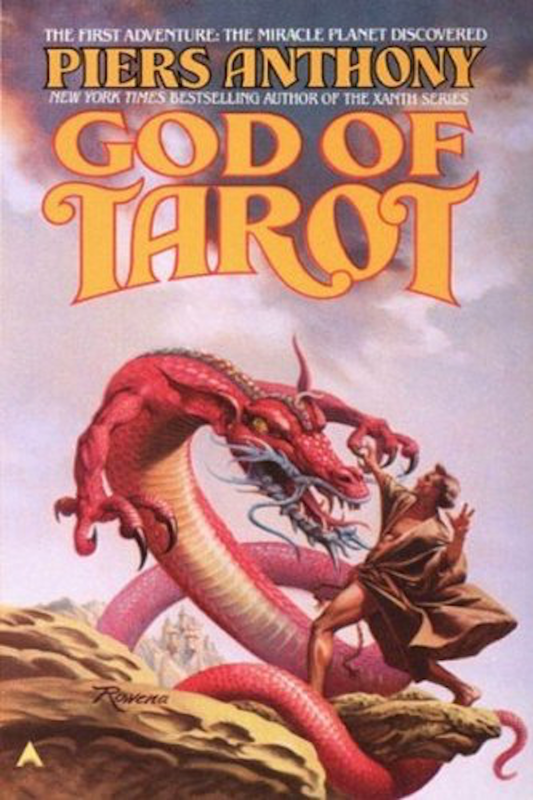 Hermetic Library Fellow T Polyphilus reviews God of Tarot by Piers Anthony. I had known of this book since it was new on shelves in the 1980s, but my discouraging experience of the author’s Xanth series had put me off his work altogether. As time passed, my curiosity about the Tarot books increased, but they became scarcer. Finally stumbling across a cheap battered copy recently, I went ahead and read this first of the three books in this series. The author’s front matter is very clear that the “trilogy” is really a single work divided into three volumes for convenience of production and sales, and the text bears that out. There is nothing like a resolution of the larger plot at the conclusion of the book. God of Tarot was good enough that I went ahead and ordered an inexpensive copy of Vision of Tarot directly after finishing it, so that I wouldn’t lose the thread of the story. But it was just bad enough that I had genuine reason to worry that I would lose that thread. The protagonist Brother Paul is an adherent of the Holy Order of Vision, a religious body on a future Earth that has been depopulated and energy-rationed into pre-industrial levels of technology, while most of humanity has departed into exoplanetary colonization efforts. He is very explicitly an octaroon identifiable as “black” to his colleagues, a point of occasional relevance to the plot. It is not reflected in Rowena Morrill’s cover art, which otherwise accurately shows a scene from chapter 7 of the book, with Paul confronting a dragon who represents Temptation. 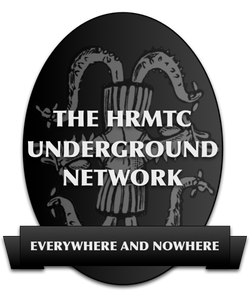 The general plot concerns Paul’s investigation of strange phenomena on the colonized planet Tarot. The planet’s “animation zone,” in which thought-forms take on physical reality, seems to be Anthony’s science-fictional conceit for what occultists would call the astral plane. 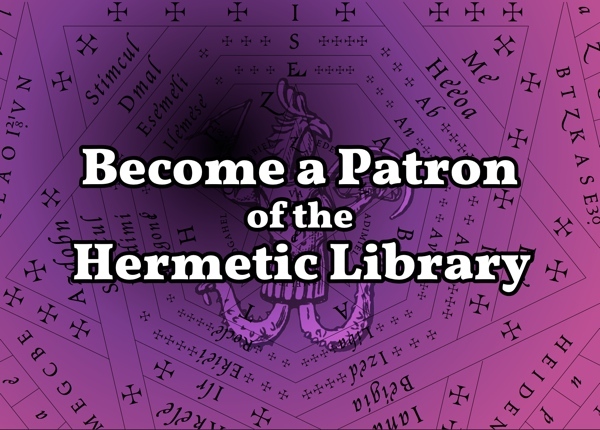 As he explores it, he encounters simulations of significant historical patrons, designers, and commenters on the Tarot, including Filippo Maria Visconti, Arthur Edward Waite, and Aleister Crowley. Anthony gets Waite’s diction just right, to the point where I suspected him of simply cribbing from Waite’s work for some of the dialogue. Crowley is not quite as spot-on, and is given misogyny as a disproportionate keynote of his character. Still, it is Crowley who becomes Paul’s principal guide in the animation zone. The final section of the book is occasioned by Paul’s effort to know his True Will, as goaded by Crowley. The upshot is that he recovers a Phildickian, proto-cyberpunk sort of tale from his previously inaccessible memories of his life before joining the Holy Order of Vision. Thus the very end of the book takes place in narrative chronology before the beginning, and the reconnection of that knowledge to Paul’s dilemma on Tarot is left for later volumes. It seems that I will need to read further before reaching any real opinion on the merits of the work as a whole. 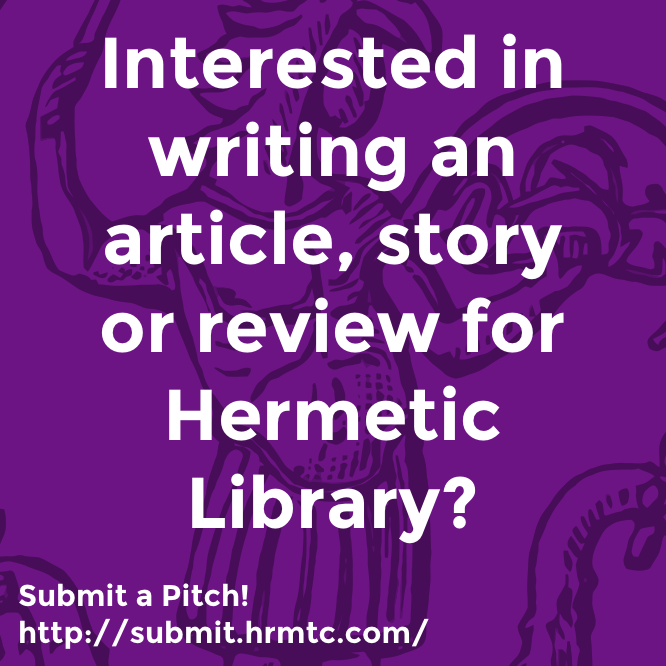 This entry was posted in Hermetic Library Reading Room and tagged book, Piers Anthony, review, T Polyphilus on February 12, 2019 by John Griogair Bell.